We have recently become witnesses to an intensifying adversarial relationship between “traditionalist” discourse and the growing role of religion in Kyrgyz society. As opposed to the alarmist “discourse of danger” (excellently analyzed in the research of David Montgomery and John Heathershaw) , in which Islamization is automatically reduced to the source of violent extremism and radicalism, and therefore to a threat to society, traditionalist discourse appeals to different motives. Here we will examine just a limited number of the preconceptions circulating in the mass media. Islam does not correspond to Kyrgyz culture: “Islam is a newly arrived tradition.” In such a depiction, Islamization is seen as a process that flows in isolation from the rest of society and under the influence of external players and geopolitics, and does not have anything in common with local traditions and everyday life. Islam is against modernity: “The hijab is a blow to feminism.” It is curious to note that traditionalist discourse also runs to the argument of modernity. According to this narrative, the hijab undermines the hard-fought battles of our mothers and grandmothers and returns society to its pre-Soviet retrograde condition. That is to say, the main idea of these deep-seated myths in the traditionalist discourse is that Islam has no relation to local norms and values. It is obvious that such a simplified understanding of the religious situation risks distorting the complex picture of transformations in Islam. To clarify a few of these transformations, I am adding here some results of ongoing research that counter the basic tenet of traditionalism with the personal stories of young women who have, to a greater or lesser degree, integrated Islam or its attributes into their lives. In this research, we used a complex methodology, including conducting interviews with respondents (30 people), attending and observing religious lectures, discourse analysis, and analysis of mass media and religious content. Public and private religious lessons (taalim) are organized nearly every week by a large number of educational foundations, organizations, mosques, and private individuals both in the capital and in villages. On visiting several of such activities for women organized by Chubak azhy, Zhamal Frontbek kyzy, and other ulama of the central mosque and other mosques of Bishkek, it is possible to note their great popularity among female residents of Bishkek. The halls for these activities are always full. The female participants wait with particular anticipation for the question-and-answer sessions, where one can ask questions of theologians and figures of authority. It was interesting for us not only to observe the content of the questions and the answers they received, but also to ask the women what they thought about this religious networking and their presence in this interim religious society. One participant in our research who sometimes attends religious education lessons in the capital told us that the question-and-answer sessions at such events were mainly concerned with practical aspects of everyday life: how to get along with your husband’s parents, how to resolve conflict between spouses, how to relate to colleagues at work, how to prepare delicious food, the dowry of the bride (miraz), and so forth. For that reason, she prefers to draw on the new knowledge in books by well-known local and foreign theologians and religious authorities. Here is another story of a young woman who lives and works in Bishkek but was born in a village. Having dedicated herself to the professional study of the Koran over the course of three years, in Kyrgyzstan and in Turkey, she regularly travels to her home village to share her knowledge with other religious followers there. In a small private circle of older and younger women, she answers various questions from the religious point of view. The village inhabitants themselves clamor for these informational lessons, driven by local demand and the lack of knowledge available locally. The questions asked by part of the population, whether on social media during religious instruction or on visits by regional authorities to the rural areas, serve as a kind of indicator that in some areas of our society the daily routine of personal practices and socialization has been lost, and the vacuum that has appeared demands the intervention of new institutions. It is possible to ask similar questions about the status of the family, schools, universities, and other institutions that traditionally served as primary sources of information and knowledge. This is also the main criticism addressed at traditionalism, which has the tendency to negate the interconnection of Islamization and local conditions. Further, it is necessary to underscore not only the passive role of religion, as an indicator of particular processes, but also its active role, when the individual and the collective run to Islam as to a mechanism or means of survival or adaptation. Thus, one important observation that we made in the course of our research touched on how young women integrate Islam into their lives as an answer to the demands and expectations of a patriarchal society. In the course of our research, we were intrigued by the young women who began to wear the hijab not as the result of traveling a personal path to correct religious expression but with the instrumental goal of marrying or appeasing a husband and his family. We note right away that this situation affects only a part of the population, and even then stirs up a storm of criticism from other groups of religious followers. The covering of the head out of opportunistic or instrumental convictions nevertheless speaks to women’s attempts to become “fully valued” members of society, to be included in the body public. They understand that they become members of a particular community, but nevertheless for them it is integration. They speak of changes, of the difficulties of the new way of life, but not one of them was ready to trade her new female status for life before the headscarf. In this situation, far from the ideal equality of genders and generations, the risks of oppression from the patriarchal society and from religion are weighed by relatively different factors. The price that these young women pay for wearing the hijab is an incomparably lower price than they would have to pay for being unmarried. In this context, wearing the headscarf says more about the situation of women in the country than about the growing role of religion. And traditionalist criticism omits the essence of the cruel reality of social marginalization: that the hijab is not the worst alternative, and that for some it is really the only one at a certain point in their lives. By this logic, the hijab is seen as a factor for potential marginalization for their daughters, as a source of disapproval from those around her, at least at a certain stage in life. This also speaks to the fact that the religious community is not monolithic. In the process of collecting interviews, the connection between religion and local norms and values became all the more obvious, contradicting the contention that Islam has no relation to the local context. From the above-stated, as well as from much previous research , it is clear that religion often serves as a mechanism of individual adaptation to the difficulties and changes in life. But it is necessary to emphasize its other side: it also presents a challenge, both to the individual believer and to the patriarchal society as a whole. And here it is important to see its call to feminism and social justice, which are both deficient in society today. If some groups of women turn to religion as a method of integrating into the patriarchal society, other participants in our research use Islam as a defense against that same patriarchal society. Armed with solid knowledge of the Koran and those verses that support the rights of women, they come to criticize the existing principles and create a discourse of opposition. They criticize Kyrgyz families for turning young brides into slaves, taking away their voices, and neglecting their needs. They study the hadiths that lift up the role of women in society, and they even start informal clubs where they spread this message of emancipation to their sisters in the faith. In addition to this, they see marriage with a faithful man who will follow the teachings of the Koran and not infringe on their rights as the solution to a personal problem. Wanting to build a family on the basis of Muslim principles, they in this way seek, if not to reform the patriarchal society, then to avoid its consequences for themselves. For such groups of women, a future spouse should be an enlightened “moderate” Muslim. Muslim society is diverse, and so too are the interpretations of the Koran and applications of it to personal life situations, their relationship to society, and the role of religion in public life. The growing role of Islam is not the simple result of the influence of external factors; rather, it is closely connected with internal processes that the Kyrgyz society is undergoing at the moment. Understanding these processes can help one to see this diversity and not generalize or simplify it. As the interviews from our research show, one of the most important processes is the attempt of people to integrate into society in spite of growing fragmentation, isolation and the falling away of individuals and families from the “general flow.” And as strange as it might seem, Islam is becoming one of the forces of integration. Giving in to fears of the unknown and taking cover under the good old traditionalism misses one important fact: Islam does not live apart from Kyrgyz norms, even though Islamic principles criticize many aspects of Kyrgyz society, like gluttony, wastefulness, corruption, etc. What’s more, Kyrgyz traditions act in some places as constraints (!) on religion, because it is important for people to maintain a connection to their social surroundings, no matter how corrupt and financially burdensome those connections might be. When faced with the choice between religious principles and traditions, often people choose the middle road, which allows them to simultaneously retain the circle of people around them and not commit any serious offense against the Koran. Social exclusion (as in the expression “Elden chygysh kaluu”) is the worst that can happen to a person from Kyrgyz society, regardless of their faith. 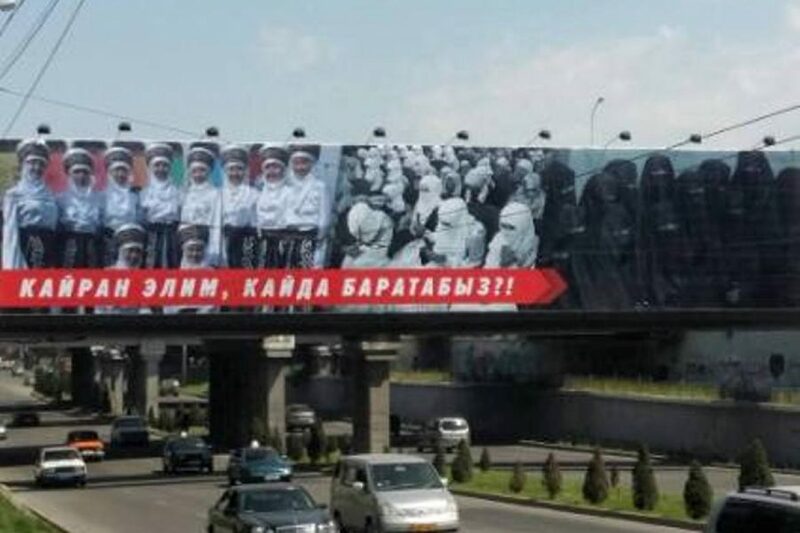 And at the current stage, thanks to the presence of such strong normative values as integration into society by means of katysh and performing rituals, I would say that Kyrgyzstan lacks an extensive social base for radicalization. Yes, there are economic factors such as poverty and a growing inequality between rich and poor. They play a role, but not a decisive one. If we look at, for example, how the money sent by migrant workers from Russia is spent (improvement in material daily life and improvement of social status though rituals), then we can draw the conclusion that integration into a society that is becoming more class-oriented for the time being stands above the possibility of bankruptcy which can be a consequence of these efforts at integration. If we discern this close connection between Islam and socio-economic processes and do not create false threats, it will help us as a society to begin a peaceful and constructive dialog on the role of religion in modern society. David W. Montgomery and John Heathershaw, “Islam, Secularism and Danger: A Reconsideration of the Link between Religiosity, Radicalism and Rebellion in Central Asia,” Religion, State and Society 44, no. 3 (2016): 192–218. The term Islamization is ambiguous and does not exactly describe the processes of transformation in Islam in the country. In this article we use this term to mean the growing role of religion in both private and public life. 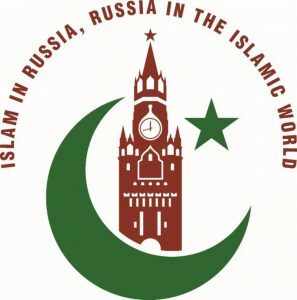 For a more detailed example of the formation of negative images of Islam in the mass media, see http://ca-mediators.net/ru/issledovaniya/275-islamofobiya-propaganda-i-neterpimost-v-smi-i-internete-kr-2016.html. See also the series of excellent stories from IWPR: https://iwpr.net/global-voices/islams-psychological-comfort-kyrgyz-women. Interview with Barno, age 25, Bishkek. All names have been changed to protect the anonymity of research participants. Interview with Aijamal, age 29, Bishkek. Interview with Nuraiym, age 35, Bishkek. Another part of our research showed that for many women the hijab represents a last and deliberate step in achieving correct religiosity. Going down this path is individual, can take several years, and is accompanied by various sorts of difficulties. 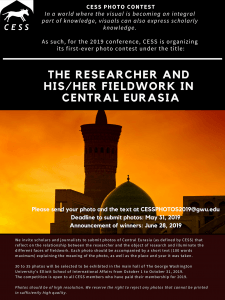 The current research of Emil Nasritdinov and Nurgul Esenamanova, “The War of Billboards: Hijab, Secularism, and Public Space in Bishkek,” also supports this data. Interview with Datkaim, age 32, Bishkek. Interview with Eleonora, age 23, Bishkek. 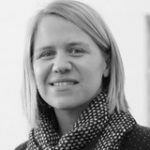 Manja Stephan, “Education, Youth and Islam: The Growing Popularity of Private Religious Lessons in Dushanbe, Tajikistan,” Central Asian Survey 29, no. 4 (2010): 469–83; Farideh Heyat, “Re-Islamisation in Kyrgyzstan: Gender, New Poverty and the Moral Dimension,” Central Asian Survey 23, no. 3-4 (2004): 275–87. See the research of the International Crisis Group about the connection between the worsening economic situation, weakness of the government, and radicalization: “Kyrgyzstan: State Fragility and Radicalisation,” Crisis Group Europe and Central Asia Briefing No. 83, Osh/Bishkek/Brussels, October 3, 2016. Igor Rubinov, “Migration, Development, and the ‘Toi Economy’: Cultural Integration of Remittances in Northern Kyrgyzstan,” 2010, file:///C:/Users/user/Downloads/83d64aa0c5cb810896320180dcb2790b181cc84a.pdf.